Loreena McKennitt: Nights from the Alhambra (2016) – What's New on Netflix Canada Today! 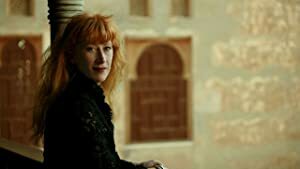 Celtic-New Age-world music sensation Loreena McKennitt brings her trademark ethereal stylings to Spain’s most historic medieval fortress, the Alhambra, for a mystical evening of music. Recorded and filmed at the Alhambra Palace in Granada, Spain, September 2006.